Effimax Process Systems Private Limited. -7 availability of wireless operators network. - 24*7 Maintenance and technical support service. AKME Global provides telecommunication tower maintenance and up gradation services. 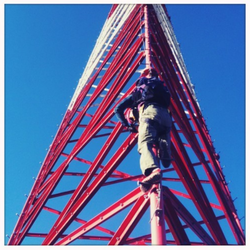 At most reasonable rates, we are providing Tower Maintenance Service to our patrons. We have our own maintenance department who do all types of maintenance of every type of tower. We have our own riggers and technician who do all kinds of maintenance for every type of tower and aerial mast. We are providing Tower Maintenance to our most reliable patrons which are situated all round the nation. The offered maintenance services are specially executed as per the demands of the customers and are in compliance with the international standards. Flow Tech (FTCT) can provide a tailored maintenance program for your plants cooling towers. and unique technologies to deliver key results for your business. Pearl Telecom Pvt Ltd’s Tower Manufacturing Unit manufactures towers of various types including Angular and Tubular, Ground Based. Assisted by the backing of our highly trained personnel in this arena, we have been able to bring forward Electric Tower Maintenance Services. A team of adroit personnel works in close harmony with our clients to impart these services as per their demands. Provided services are broadly valued amid our clients for their qualities such as on time execution.